Builderall vs Clickfunnels: Which Software Should You Use? GIVE CLICKFUNNELS A TRY FOR FREE TODAY. Builderall and Clickfunnels are different in that they both offer different things or rather different amounts of things. Builderall takes the approach of offering as many digital marketing services as possible. For example, you can do anything from creating a marketing funnel to designing your own app. Whereas Clickfunnels take a ‘less is more’ stance. They offer a focused, detailed and effective marketing funnel and email marketing service. One technical aspect they have in common is the drag and drop component for easy customisation. We are going to talk you through the Builderall vs Clickfunnels debate. Hopefully, by doing so, we can help you decide which software would be better suited to your business. 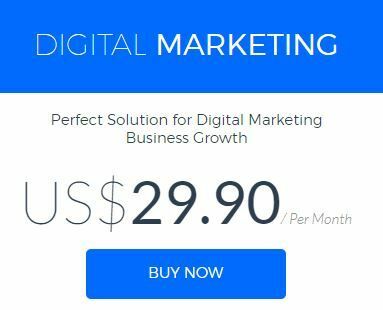 Clickfunnels offer a smaller range of digital marketing services, but at a much higher quality. They focus on the creation of marketing funnels and email marketing, rather than trying to offer too much. As the well-known saying goes, it is ‘quality not quantity’ that’s important. This high-quality service is reflected in the price. If you are willing to spend more on the software you will reap far more benefits. All the funnel templates offered to users of Clickfunnels have been tried and tested. They are therefore almost guaranteed to work for your business and bring you in leads. That’s if you pick a suitable one for the services you’re offering. Reviewers have claimed that Clickfunnels is more expensive due to Russell Brunson’s name coming along with the brand. However, this is not the case. Clickfunnels do what they do extremely well and offer a huge number of opportunities for their users. The fact that Russell Brunson is the founder is an added bonus! The pricing depends on the amount of access you require to their features. The standard package, which comes with most of their features and funnel templates, is $97 per month. However, if you want full access to any feature and to promote Clickfunnels, you can pay $297 per month for the Etison Suite package. But don’t forget the free 14-day trial! Clickfunnels, compared to Builderall, is a very established and recognised brand in the marketing world. This is partially due to the founder Russell Brunson being a famous and popular individual for the entrepreneurial advice he offers to the public. However, their success is also due to the transparent and efficient nature of the software. The fact that Clickfunnels is established also means there is less risk of the company going out of business. Your creations are safe! Builderall on the other hand, are relatively new and offer a huge range of different services. They are less likely to reach the same success due to them not having a specialty. The ease with which marketing funnels and email marketing can be planned using Clickfunnels means even a child could use it. You may be tech-savvy anyway, but using software that doesn’t require expert knowledge is always a bonus. In such a fast-paced society, no one has time to spare. Clickfunnels allows you to invest all your time in actually creating your digital marketing campaigns. Quicker production of funnels = quicker results! Having access to software that is easy to use also means you can be more creative with your funnels – without having to worry about writing any scary code! Both Clickfunnels and Builderall have an affiliate program, but Clickfunnels’ comes at no extra cost. It also allows you to make a commission on any Clickfunnel purchases due to the ‘sticky cookie’ feature. Their ‘share funnels’ idea allows for greater transparency among users so everyone can benefit from each others expertise! In terms of tracking the progress of affiliates, Clickfunnels takes the crown again. It allows you to take a detailed look at how affiliate links are performing. Despite the high quality and almost guaranteed success that Clickfunnels’ features and products can bring, it is expensive. However, if you view it as a tool that you are going to make good use of every day to generate leads, it seems worth it. Plus, their 14-day free trial allows you to figure out if you would like to make the investment. The notion that Clickfunnels provides access to less digital marketing features yet costs more, might seem off-putting. Builderall offers a huge range of tools like social media integration, app building and more. Whereas, Clickfunnels only offers marketing funnels and email marketing. If you would like to be able to fulfill a range of your business’ digital marketing needs all in one place, then Builderall would probably suit you. However, where you have access to a higher quantity of services, the quality is likely to suffer. Clickfunnels, despite mainly only offering marketing funnels, allows you to do that aspect of your marketing to a very high standard. Using more focused and specific tools for each part of your marketing strategy is therefore advisable to ensure your business doesn’t potentially develop a negative reputation. Let’s move onto Builderall. One reason Builderall is great is it allows you to keep on top of a large proportion of your digital marketing strategy… all in one place. You can build marketing funnels, create blogs, design and automate your email marketing and even create apps. As well as allowing you to create auto-responses for your email campaigns, it offers Facebook integration. You can, therefore, keep on top of your social media leads as well without having to lift a finger. 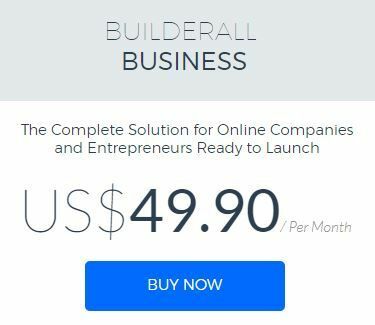 Similar to Clickfunnels, Builderall offers an affiliate program for users. With it being largely new, becoming an affiliate would be beneficial as all their money currently goes towards the program. This is different from more established companies, who can invest most of their money into advertising. As Builderall is relatively new, so is its community. So, if you are serious about joining you have a good chance of becoming a successful member of their program. Clickfunnels don’t require an extra fee to be an affiliate. If you are a paying member of their software then you automatically have access to their affiliate program. Overall though, Builderall’s prices are very reasonable. Especially when you consider the range and number of features their software offers. You essentially receive more digital marketing tools, for a lower cost. However, don’t forget this might not be as much of an advantage as you think. It’s important to keep in mind the saying ‘you get what you pay for’. The Builderall site is nearly twice as fast as Clickfunnels. It has a performance grade A compared to Clickfunnels having performance grade C. This may mean more to some people than others, as the Clickfunnels website is by no means slow… but it’s worth mentioning. Builderall is a lot less of an investment for your business. To gain full access to their features, it is only $29.90 per month. This is useful if you just want to give marketing funnels a try but not jump in at the deep end. Try them out before you make them a significant aspect of your online marketing strategy. The Builderall online community has been praised for the active involvement that it’s founders play. On their social media, people can interact with the big dogs of Builderall to gain expertise in making the most of their digital marketing tools. Due to Clickfunnels being run by some big names in the marketing world, their CEO’s may not be as interactive. However, Clickfunnels Russell Brunson founder prioritises giving entrepreneurial advice and tips for making marketing funnels, as is evident on his regularly updated YouTube channel. Clickfunnels is easy for anyone to grasp and maneuver their way around. Whereas Builderall may take a new user a few days to get their head around. If you haven’t got any time to invest in making sure you understand the features, this probably isn’t the software for you. There is also no ‘live chat’ option on Builderall, so if you are ever stuck or need help, it may be difficult to access. Clickfunnels on the other hand, do have a ‘live chat’ feature, so being left in a dilemma wouldn’t be a worry. As Builderall is relatively new, some of its features have been known to be buggy. Though there have been improvements made recently, the email marketing tool is one that has been identified as problematic. This might be something to bear in mind if the email marketing feature is one your business is particularly interested in. Builderall is praised for allowing you to customise your funnels and marketing campaigns in a less restrictive way than Clickfunnels. For example, you can place images and buttons anywhere on a page. However, this actually presents a big problem. Unlike Clickfunnels, Builderall’s pages are not coded in columns like most websites. The content, therefore, cannot respond to changes in page size. If someone accesses a page on a smaller phone or different device, the content will be cut off, rather than adapting. This is a huge problem if you want your marketing efforts to be available on all devices. More often than not, people will be viewing your pages on mobile devices, not big screens… so this issue is a big one. Now we’ve talked through the Clickfunnels vs Builderall debate, let’s sum up which one you should go for. The answer depends on the type of business. If you are a small independent business with a restricted budget and time to spare to wrap your head around Builderall, then go for that one. All the digital marketing tools you will need are on there and it will probably suit your needs well. However, if you are an established or growing business looking to expand legitimately… Clickfunnels is the one for you. There must be a good reason why all the big names use the software and it is down to the sheer quality and results that Clickfunnels’ products bring. The fact that Builderall offers such a large amount of features means they spread themselves thin. Clickfunnels focus on a couple of aspects and make sure they are offered at a high standard. So if marketing funnels are your focus, it goes without saying that you should go for the software with the funnel feature being the main focus. Ultimately, the decision as to which digital marketing funnel tool wins the Builderall vs Clickfunnels debate is all down to you. The nature and status of your business will all determine the best one for you. Take a look below at a breakdown of the Clickfunnels pricing to see what you get for your money. If Clickfunnels seems the most appealing to you but you are worried about the price tag, why not make the most of their 14-day free trial? Hopefully reading through our Builderall vs Clickfunnels debate has helped you to understand where your money would be going for each tool. However, if you would like any more advice to help you decide which marketing funnel tool to use after our Clickfunnels vs Builderall discussion – give us a call on 01226 720 755.